Why train to be a driving instructor? I would rate this as one of the main reasons. As well as high income, and flexible hours. Obviously within reason, this is a supply and demand industry, but generally being a driving instructor allows a great deal of flexibility in the hours you work. You might choose to work around family, or social commitments, or even work part time – the choice is yours! It's nice just to be able to take an afternoon off to go to your child's school play. This is one of the few industry's that does not require formal qualifications. However the DSA (Driving Standards Agency) requires that anyone wishing to train as a driving instructor has no more than 6 penalty points on their licence, has held a valid full UK licence for at least 3 and a half years, and meet the physical criteria required to safely control a vehicle. You will need though, good people skills, a competent driving ability, the commitment to train hard to become a driving instructor, and a good communication manner, Sense of humour is a must, and finally sometimes the patients of a Saint. Once you have trained to be a driving instructor your potential earnings are down to you. The amount of hours you are willing to train pupils, the price you charge for your driving lessons etc. Do your sums carefully do not believe all the hype you see advertised, and most of all remember there are expenses once you have trained to be a driving instructor, do not forget to take these into account. Access Driving Tuition is a family run business, which has been trading successfully for 20 years in the leaner market, and the driving instructor training industry. We have excelled in both fields. Our main strengths are our teaching techniques, and the personal one to one approach towards our trainee driving instructors. Nowhere throughout the industry in training driving instructors will you find a team that will be more committed to your success. We also believe in straight talking, We will tell you like it is, below is the process of becoming a driving instructor, again I have tried to give you the facts in plain English. Study at your own pace. Straightforward training consistently leads to success for trainees of all ages and abilities. If you decide to train with Access instructor training you then begin a logical, structured training program on a one to one basis with your trainer, who will stay with you for the entire course. Some trainees complete the course very quickly, but you may choose to study at a more measured pace - we can help you plan your studies to take into account your outside commitments like the needs of your children, or an existing job. All the way through, you will be taught, and supported by your trainer who will be totally committed to your success. If you think driving instruction is for you, but you are not sure whether your driving is up to standard, don't worry! If you want an assessment please Contact Us, but it is your attitude, communication skills, and approach that matters most. 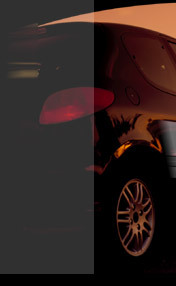 Our training is designed to merge with the Driving Standards Agency's three-part exam. You can do all your training over a two week period if you wish, or you can take it step by step. Train for one exam pass it, then train for the next, and so forth. You have to take the 3 exams in turn. The exam waiting times vary greatly depending on the exam your applying for, the area, time of year, and the DSA examiners availability. In theory, you could be qualified within 12 weeks. You can take the part 1 test as many times as you need to, or as many times you want. Although most people do pass first time. You do not need to be in a classroom, we have used a home study course successfully for years. Once you pass part 1 the clock starts ticking, you have 2 years from this point to pass the final 2 exams. Plenty of time – we believe, just so long as you’re focused, and committed. You can have up to three attempts at passing parts 2 and 3, and then you’re out. In the unlikely event you did fail parts 2 or 3 three times, you would have to wait 2 years from when you passed your part 1 to start again. Your trainer will advise you when you are ready for the exam thus giving you the best chance of passing. We'll do all we can to make sure you pass! The subjects are arranged into four bands, each with an 80% pass mark. The overall pass mark for part 1 test is 85%. You are given 1 hour and 15 minutes to complete the test, but most people finish early. Best of all nearly all our students pass first time! I have never known anyone training with us ultimately not pass this test. This is the easiest of all 3 tests. A Driving Standards Agency supervising examiner conducts the driving, and eyesight test. The test is approximately an hour long. You are expected to drive in a business like, disciplined manner along varied routes showing your ability to manoeuvre, and control the car safely. 2 ‘show me’ questions while you’re driving - for example, showing how to wash the windscreen using the car controls and wipers. There is no comparison between this test, and your original learner test, apart from they are both in a car. The maximum minor faults you are allowed to make are 6. This is an advanced driving test, and needs the commitment it deserves. The good news is with Access instructor training 90% of our trainees pass 1st time. In preparation for the final test. Part 3 is where we teach you how to teach others, and again we give you as much support, and help with the course work as we can, to maximise your chances of success. The prior instructor training you have received will help you with this final phase. In-car training, this includes extensive role-play by your trainer to prepare you for the many scenarios the examiner could play. You will receive in-car training to totally fit in with your requirements, on average 20 to 30 hours is adequate to bring a candidates knowledge up to part three standard. However it does really depends on your communication skills. The test takes place in-car, and is approximately one hour long, split into two stages, and consists of two role-playing exercises. Your examiner will paint a word picture for you, describing what kind of pupil he or she will be playing, for example what experience he or she has. You then teach the examiner whilst in the car. This test is designed to mirror a real life driving lesson. This is the most demanding part of the overall exam procedure. Spending more than a couple of hours in a classroom instructor training for this exam is pointless. Your training needs to be 99 % in car on a one to one ratio. If you would like an assessment lesson, or if you have any questions, please Contact Us. Part 1 is £99.00 with a complete home study course with full tutor back up. Part 2 £25.00 per hour. Part 3 £26.00 per hour. Please also remember part 1 is the only money you pay up front, all other fees are paid as, and when you take the training. Thank you for taking the time to read this page, I hope you have found the information informative, and interesting. I wish you every success on your possible chosen career, if you have any questions please Contact Us.